Written for all who are interested in the mechanics of humor, Sweet Madness presents a general discussion and introduction to the roles of paradox, metaphor, and fantasy in humor. The operation of the implicit and the unconscious in humor; the importance of humor to human life; and the development, from childhood on, of the sense of humor are discussed. The background for this serious study is drawn from such fields as psychiatry, psychology, anthropology, and sociology. William F. Fry, in this work, presents a new theory of the structure of humor based on the sometimes little understood psychological processes experienced by those who use humor or are exposed to humor. It is these relationships with other fields of study that allows for this investigation into the anatomy of humor. Fry, in this outstanding and erudite volume, takes a giant step in furthering our thinking about humor in transactional terms. 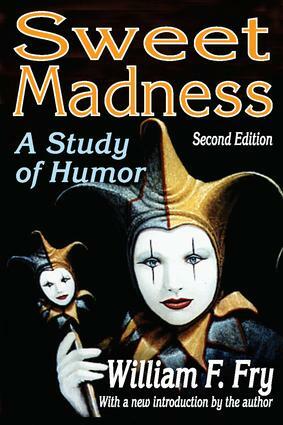 Humor and a sense of humor are a vital part of human interactions, and as such, this book has much to contribute to the study of psychology, cultural, communications, and of coursehumor itself.